﻿ Hilton San Francisco Airport Bayfront, San Francisco (CA) | FROM $99 - SAVE ON AGODA! 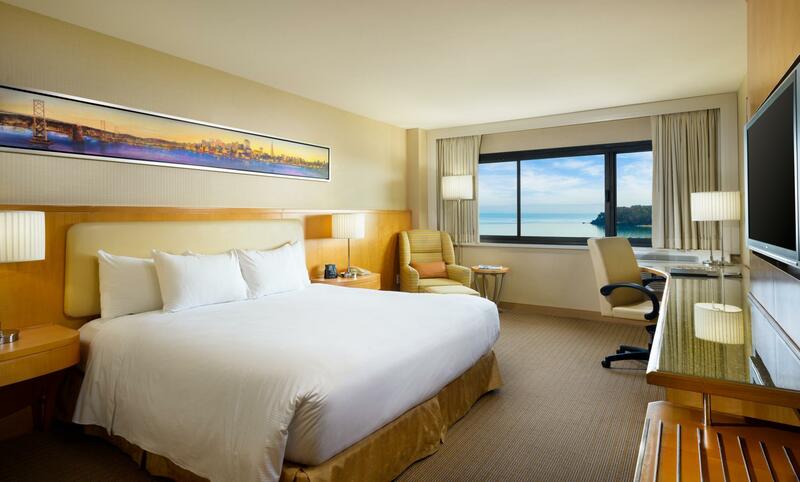 "Complimentary airport shuttle every 20 minutes, friendly sta..."
Have a question for Hilton San Francisco Airport Bayfront? "In-room dining was superb and prices were reasonable." "This hotel has an airport shuttle so it is also convenient for those coming from airport." 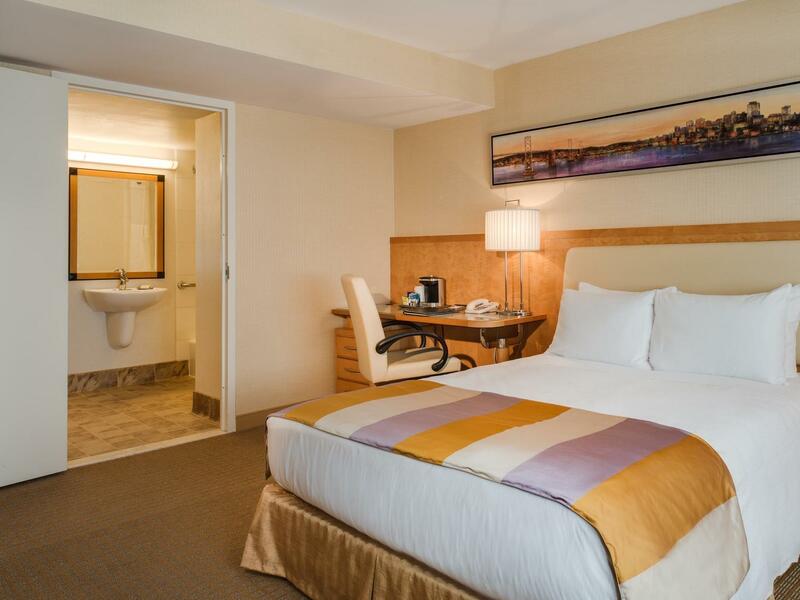 "Very impressed by the deluxe king bed and proximity to the airport." "Like the room, clean, friendly staff, nice ambiance." 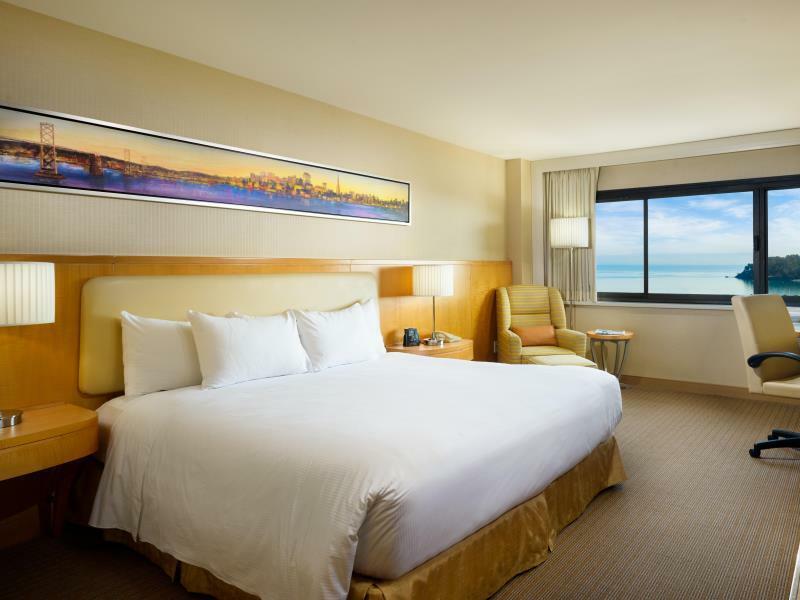 When visiting San Francisco (CA), you'll feel right at home at Hilton San Francisco Airport Bayfront, which offers quality accommodation and great service. Situated only from the city center, guests are well located to enjoy the town's attractions and activities. Visitors to the hotel can take pleasure in touring the city's top attractions: USAT General Frank M. Coxe, San Francisco Bay, Pez Store & Museum. 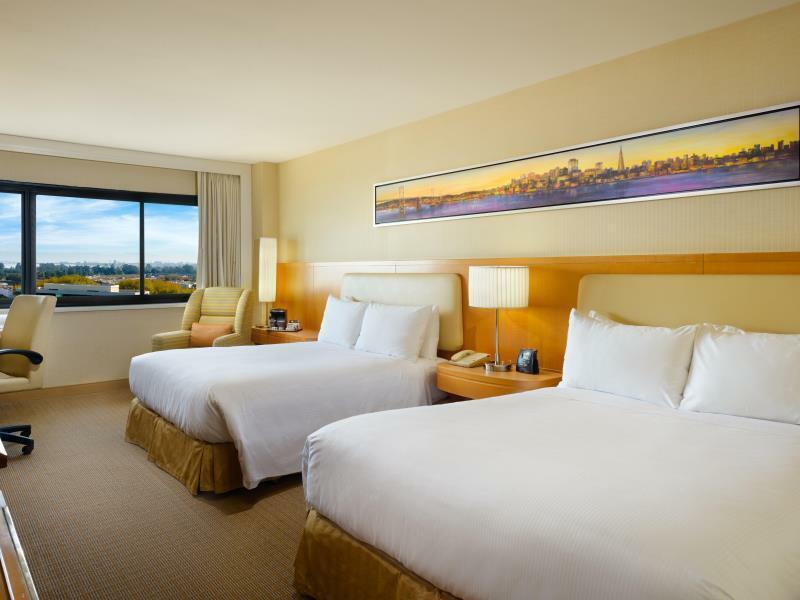 Hilton San Francisco Airport Bayfront also offers many facilities to enrich your stay in San Francisco (CA). For the comfort and convenience of guests, the hotel offers 24-hour room service, free Wi-Fi in all rooms, 24-hour security, taxi service, wheelchair accessible. 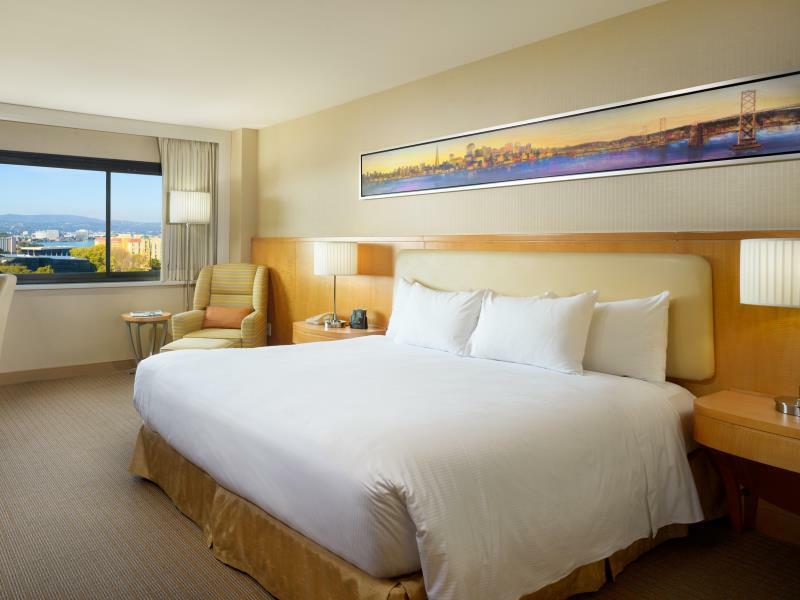 Hilton San Francisco Airport Bayfront is home to 400 bedrooms. All are tastefully furnished and many even provide such comforts as television LCD/plasma screen, internet access – wireless (complimentary), air conditioning, heating, wake-up service. The complete list of recreational facilities is available at the hotel, including hot tub, fitness center, golf course (within 3 km), indoor pool. 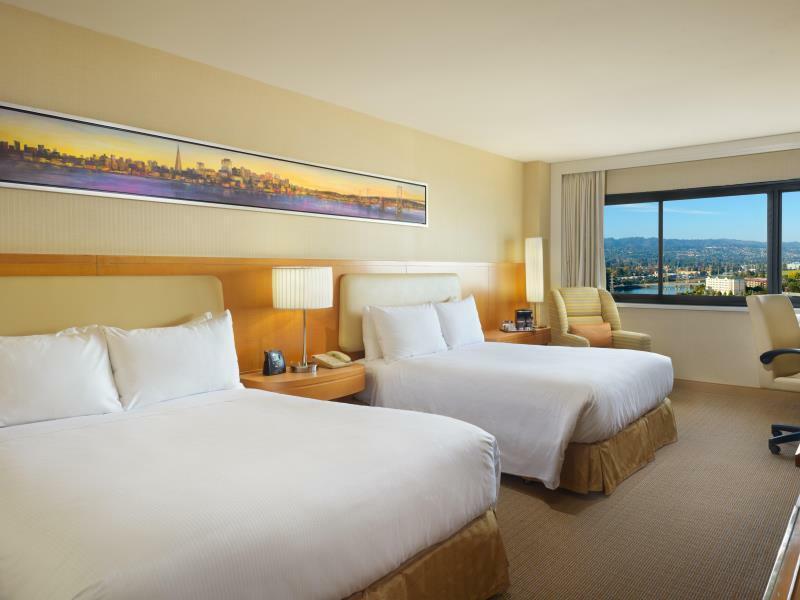 When you are looking for comfortable and convenient accommodations in San Francisco (CA), make Hilton San Francisco Airport Bayfront your home away from home. "Great hotel with new facilities." Being an old hotel is not always a bad thing in a high tech city like San Francisco. The rooms and bathroom are much bigger than the normal room. But things like WiFi can be slow. There is also lots of paid parking if you drive. The check in and out is efficient and staffeta are friendly. Food is not great but Ok. This hotel has an airport shuttle so it is also convenient for those coming from airport. But once on hotel, there isn't much activity just outside the hotel. The hotel and the room were cozy and spotless. In-room dining was superb and prices were reasonable. No wifi in the room though. The staff especially RICKY was very accommodating and pleasant. Will definitely stay here again. Pros: Accessible, clean, friendly staff, Good deal $$$, Cons: No free parking. It was the worst hotel experience we ever had. The room's air conditioning was not working, it was on a thermostat which caused it to turn on and off all the time. How can Hilton Hotel resort to this type of energy saving method when it obviously is killing its customers in the room? I can't imagine the heat during summer! We had to leave our room door ajar so that the freezing cold air from the corridor could flow into our room for ventilation. What an irony when the hotel wants to save energy and yet the corridor and other parts of the hotel were freezing cold. Even the engineer that was called in was equally frustrated with the silly energy saving method and he told us to make a formal complaint which we did. Hilton San Francisco Airport Bayfront was a great disappointment. Notwithstanding also the worst dining experience we ever had at their one and only dining restaurant. This waiter, he was rude and inattentive. Got our drinks order wrong and served us with that "higher than thou" attitude?! The ONLY sweet experience we had was at the waiting area for the shuttle bus, there was this man, who gave me 2 bottles of water while we waited. It was a sweet gesture that was totally unexpected. If possible, stay elsewhere!Plenty of better hotels around! Our stay at the Hilton San Francisco Airport Bayfront was peppered with a number of small annoyances, like card keys that didn't work and a ridiculous parking situation where the automatuc gate was constantly broken and you have to buzz an emergency help button to be able to exit. When I inquired at the front desk about this they said, "Oh yes, it's always broken. Bad system"
Room and hotel facilities in very good condition. Executive floor perks were of good quality and generous (breakfast, newspaper, coffee, internet, etc.). We were pleasantly surprised by the quality of this hotel. My wife, 7 yr old child and I stayed in the hotel for 2 nights. The process of checking in and out were very efficient. The room on the executive floor was better than we expected. The service staff was generally accomodating and pleasant. The only downside is the location. There is not much in the area around the hotel so you need a car to get to the city and the other sites nearby. The hotel provides a free shuttle to the airport and to the near by city of Burlingame, which is useful. Stone throw away from airport with shuttle bus. Great hotel with new facilities. Very clean and well managed. not so bad, like to hotel. like the room, clean, friendly staff, nice ambiance. I liked it overall. The location is a bit off from the bay (compare to Embassy Suites), but not bad. The only downside is the shuttle. The driver is not friendly and driving hurrily. Great staff. Great location to SFO. Long term lot on site. Dinning very good. A top notch Hilton. I will use for all my late,early layovers always. Very nice hote.